Today, we have a special guest! Let us welcome Paula Bell, author of 'Eternity Can Wait', who will be the guest of today and she's written her first novel and was just released this year! So, enjoy and anticipate! 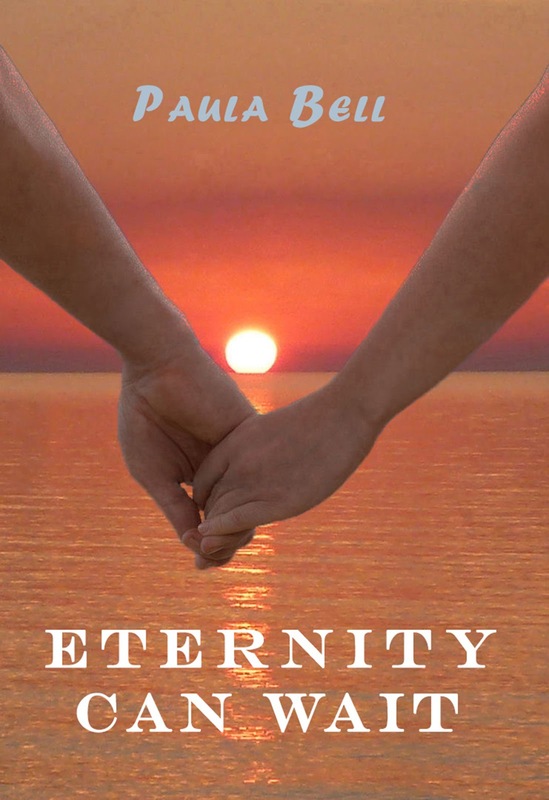 “Eternity Can Wait” is a magical, Young Adult novella. Part paranormal romance, part modern-day fairy tale, it’s a story full of danger, hope, and love. Jilted by her boyfriend and abandoned by her best friend, Jenny’s summer is shaping up to be a complete disaster. Even her college plans have been wrecked by her ex-boyfriend and the blonde cheerleader he dumped her for. Jenny is facing the prospect of not only a miserable summer, but also a long and unexpected gap year alone. The only thing that gets her off the sofa and out of the house is the thought of visiting her aunt, and meeting up with some old friends out of town. Jenny’s journey doesn’t run smoothly. With her car abandoned at the roadside in the middle of nowhere, she faces a choice. Does she head back home, or should she take a risk and continue on foot through the notorious woods she’s grown up hearing so many eerie stories about? A mysterious stranger steps in to help her. When Jenny finds out who, and what he really is, nothing will ever be the same for her again. Here's the characters for the story! Christian took her into the woods away from the village. They came to a small clearing, where beautiful flowers and lilac bushes grew. The air carried the fresh scent of fir and pine. The forest was glowing in gold and green under the bright sunlight. Jenny walked slowly, trying to absorb every moment. There was a sunny place, where some flowers were crestfallen. They looked as if they would fade soon. Jenny felt sadness at the sight. Christian noticed it in her eyes, and walked slowly to the flowers. He reached out his hand to them. They suddenly stood up as if they had been moved by an invisible force, and they looked fresh again. Jenny couldn’t believe her eyes. “You are taking my breath away!” she said, astonished. “I am sorry!” He looked at her with concern. Please feel free to contact me on Twitter @Paula_Bell_69.